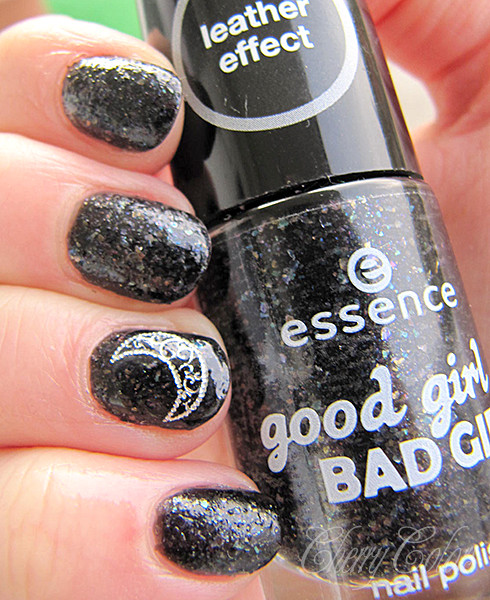 NOTD: Essence Good Girl, Bad girl - Caught in the middle - Cherry Colors - Cosmetics Heaven! 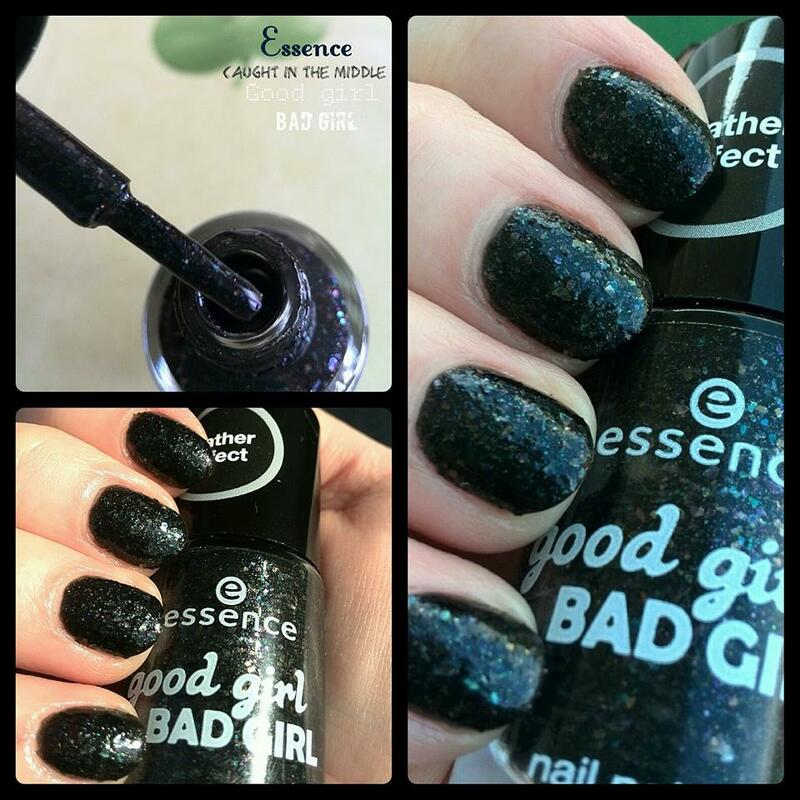 I am posting these nail swatches because if you are lucky, you can get this polish still in stores! The brush was fine. Not too wide, not too round. Perfect! 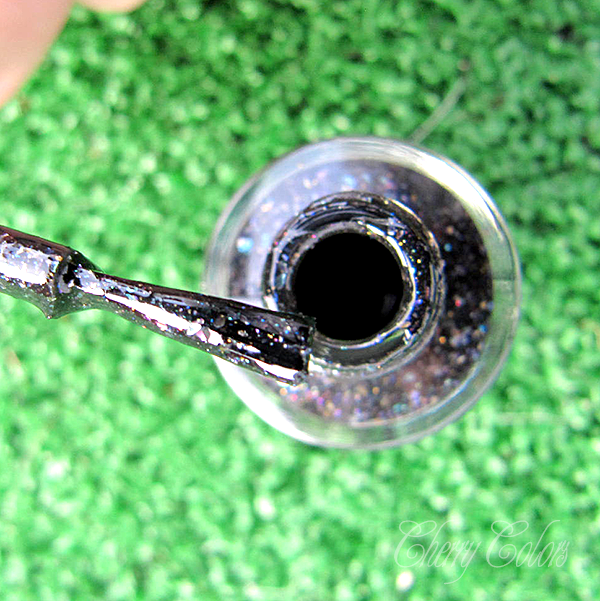 Also the formula is nice and is quite easy to apply (considering it is full of glitter). I applied 2 layers and I liked it that way. Textured and sparkly. 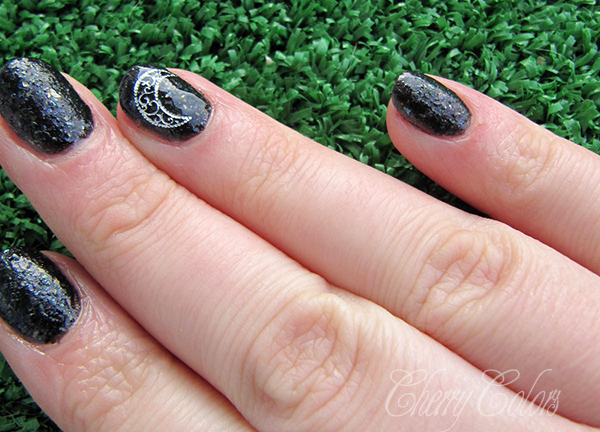 I also added a water decal on later, and I loved the glossy look even better! The drying time was A-OK. 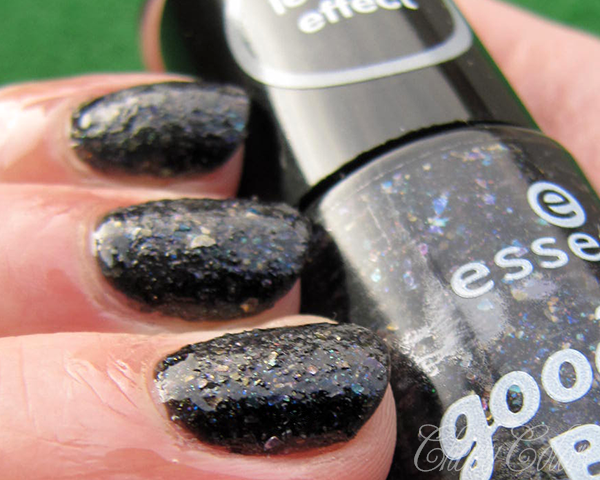 Nothing special, in the range of other Essence polishes, which is on the long-ish side. About 20 minutes for it to be completely dry.